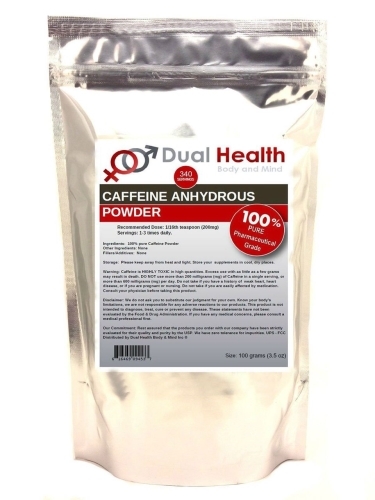 The U.S. Food and Drug Administration has issued warning letters to the parties responsible for liquidcaffeine.com and Dual Health Body and Mind for illegally selling certain highly concentrated caffeine products. The FDA considers these products to be a threat to public health. The recommended safe serving size of highly concentrated or pure caffeine products is often 200 milligrams of caffeine, which equates to 1/16 of a teaspoon of pure powder or about 2 1/2 teaspoons of a liquid product. The 16-ounce package of the liquidcaffeine.com product contains multiple toxic doses and as a whole it represents an amount of caffeine that could be potentially lethal to certain populations. A consumer is required to measure a safe serving from a potentially toxic amount, but the product labeling incorrectly implies that the process of separating out a safe serving from a potentially toxic amount can be done with a pump that is not sold with the product. The product is also sold as a similar-appearing product containing two gallons of liquid caffeine, or approximately 128 grams of caffeine, which is the equivalent of several lethal doses. A life-threatening dose of caffeine is typically estimated at between 10 and 14 grams, though a smaller amount can be life-threatening in children and sensitive populations. The Dual Health Body and Mind product contains 8 ounces of pure powdered caffeine, which is well over 1,000 servings of the product. The product is also sold in packages as large as 5 1/2 pounds, which is almost 12,500 servings of the product. The 200 milligram serving size recommended on the labeling of the Dual Health Body and Mind caffeine powder cannot be accurately measured using common household measuring tools. Many consumers do not have a scale that is sufficiently precise to accurately measure such a small amount. Even if consumers were to have a tool that measures one-sixteenth of a teaspoon, as suggested by the product labeling, it would still not be adequate to accurately measure a 200 milligram serving because this tool can deliver a different amount depending on factors such as how tightly the powder is packed and whether a “heaping” scoop is used. A simple mistake, such as measuring a serving in grams or fractions of a tablespoon, rather than milligrams or fractions of a teaspoon, could result in a toxic or even life-threatening dose. In May, the FDA issued guidance that clarified that dietary supplements consisting of pure or highly concentrated caffeine in powder or liquid forms are generally unlawful when sold directly to consumers in bulk packaging. The guidance also provided recommendations on how manufacturers can formulate and market dietary supplements containing caffeine that do not present a significant or unreasonable risk of illness or injury. 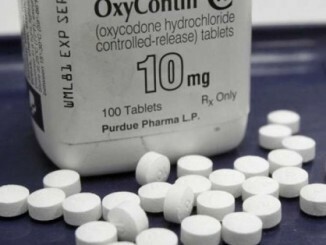 The recipients of the warning letters have 15 days to notify the FDA about specific steps they have taken to address the violations and to prevent them from recurring. If the companies fail to promptly correct these violations, the FDA may take additional action, such as seizure and/or injunction.